Simple pleasures are increasingly difficult to find, let alone hold onto, as my mother lapses further into a fantasy world of her own. In short, the business of balancing the roles of daughter and mom is becoming more tenuous. A box received today containing camera equipment confuses my mom and challenges her sense of reality. Today, for example, a neighbor brought over the package I’d so been looking forward to receiving containing the zoom lens and tripod for my iPhone camera. 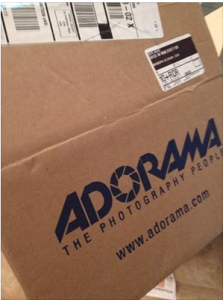 I’d purchased it recently from Adorama using a gift certificate from my youngest son. The postal service had accidentally delivered it to the wrong address and my neighbor was kind–and honest-enough to hand deliver it to my door. Of course, I immediately opened the box and removed its contents. I briefly attached the legs to the camera holder and took a glance at the tiny lens before taking it back apart of stowing it away in a travel pouch. I didn’t give it another thought as I went about my day. It had been going smoothly. I treated Mom to cold cereal and a Manderine orange after she’d complained several times recently about the hot oatmeal I had been serving for breakfast. She took her medicine and sat down to watch some television. She had at least half of it right. She’s seen the show in recent weeks. It’s OK that she doesn’t remember. It’s good that she at least knew that the star was no longer among the living. Her ability to appropriately place people on the correct side of life and death is ever waning. So even little successes are to be celebrated, I thought, as I smiled at my mom and affirmed her guess. Because I anticipated her appetite I was able to cook and serve her a hot lunch before she was able to ask. A beef frank, beans and mixed vegetables seemed to hit the spot. Never mind that not long after she was finished she asked for a hamburger. She’s seen a commercial on television and it made her hungry. I reminded her that she’d already eaten. She protested saying that hot dogs are not nearly as filling as hamburgers. OK, so another little success. She didn’t initially remember eating the hot dog, but was willing to accept what I told her was true. Not long afterward she retired to her room to read her weekly copy of the “Church News.” She took her new pair of Foster Grant reading glasses with her and for a time seemed to be enjoying her day. “There is no box,” I said. “If there is a box of books for you, it hasn’t come yet,” I tried to explain, adding that the only exception would be if it had arrived in my absence and she had brought it in herself. If such were the case, I’d have no way of knowing as my estranged sister and I never speak. Mom loudly insisted that she’d seen me with the box and demanded to know where it was. Remembering the camera equipment I’d received a few hours prior I immediately retrieved the box and showed her that it clearly had “photography” printed on the outside and let her know that the contents had been for me. I suppose the clashing of reality with what she had imagined to be true was startling. “YOU DON’T BELIEVE ANYTHING I SAY. I WISH I’D DIE!,” she screamed, using every fiber of her being and every last bit of her vocal chords. That’s when I have to breathe. Really breathe. She doesn’t know. Maybe there is a box on its way. Maybe she really did think the photography box contained books. She must have, because she proceeded to search the house for the stack of tomes she was certain I had stashed away. Eventually, empty handed and disappointed, she returned to her room to sulk. As for me, I’m relieving a little stress by blogging. They say it’s cathartic. I sure hope so. Sure, people often tell me it’s a good thing I am doing. It helps. It really does. But trying to live up to being as awesome as people think I am can be exhausting. In reality I struggle a lot with guilt for not being a better caregiver than I can manage. It is draining. I never feel like I have done my best, and yet at the same time I pat myself on the back daily for the little things I get right, like making lunch on time, just so I can manage to continue. I try to remember it is not about me surviving. It is about making my mom’s final years pleasant and safe. It is a tall order. Certainly taller than myself. 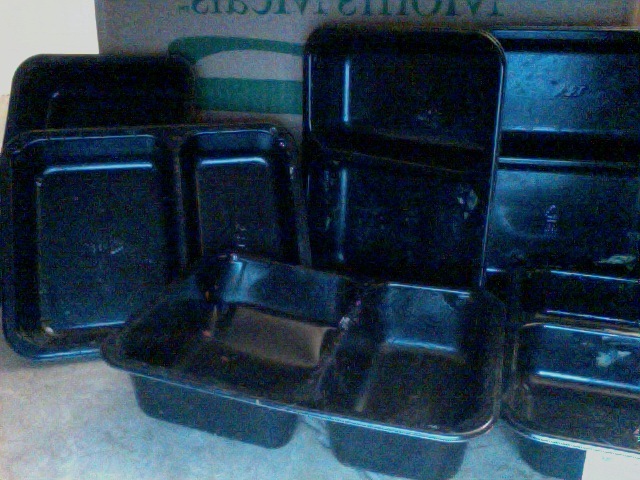 Six empty containers littered my mom’s bedroom floor this evening when I returned home after getting my hair done. She had beaten me to her bi-weekly shipment of meals and consumed more than half of its contents. I understand what it’s like to be hungry. I stayed home from work this morning. Why? Exhaustion. Pure and simple. I wasn’t sure I was up for driving, even though I went to bed last night at 6:30 p.m. I don’t keep much food in the house so most meals are consumed at work. I keep a few things on hand that I can heat up, but not much. Staying home usually means meals will be lean. Not so, for my mom. I always have food on hand for her. I hide it in the freezer. I stash it in the back of the pantry. I have even put it in boxes in the laundry room. As her daughter and caregiver, I make sure she has enough food for breakfast and lunch before I leave for the day. Upon my return I stall her with apples and oranges until dinner time. She asks repeatedly for hamburgers, pizza and whatever else she thinks I might have stashed away. We didn’t have a lot in the house when we left, but what we did, I left for her when I headed out for my six-week hair appointment. I was a tad surprised to come home and not find the expected package she receives bi-weekly from Mom’s Meals. Oh, well, I thought. Sometimes it is a day late, and I had at least one more meal left in the freezer for Mom. This was supposed to have been her lunch for the next five days. It’s already gone. The UPS delivery truck must have come while I was out. She somehow was able to drag a 40-pound box of food inside the house and into her room. This is how I can be sure of when she ate all of this, because none of it was in the house when I left. I checked what she had left against the packing slip and empty containers. We are going to have to make the five remaining meals last. I have moved them into my freezer (the one without a handle on the door) so hopefully they will be safe overnight at least. I’m not mad. I’m not angry. I don’t even know that I’m upset. I’m definitely concerned. We just cannot afford to sustain this sort of appetite, and I know it is not healthy. I don’t want her to be hungry. But I don’t want her to overeat herself into a worse case of diabetes. Oh, and yes. She finished eating her warmed up pepperoni pizza. Both slices. So, I guess it’s time to slip in to make sure she takes her evening medicine. Then I’m going to put myself to bed. May we both, daughter and mom, be blessed with sweet dreams.